Diary for your treasure. 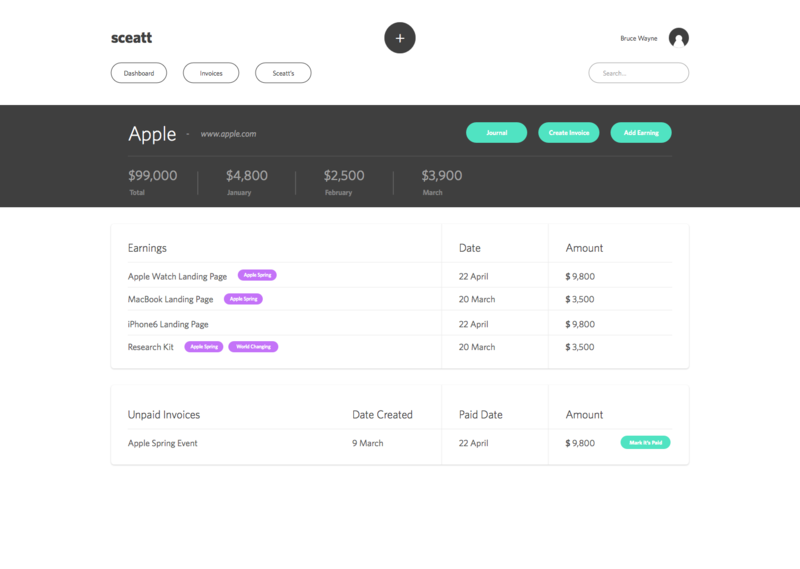 Track your freelance earnings, and save all cool stories and experiences of your work. 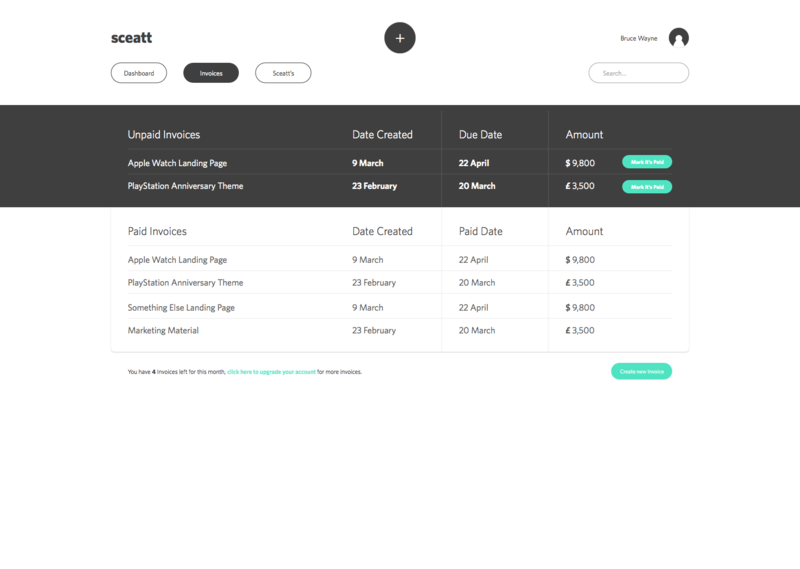 Working on invoice creation process for NEW Sceatt (coming soon). Comments are welcome! 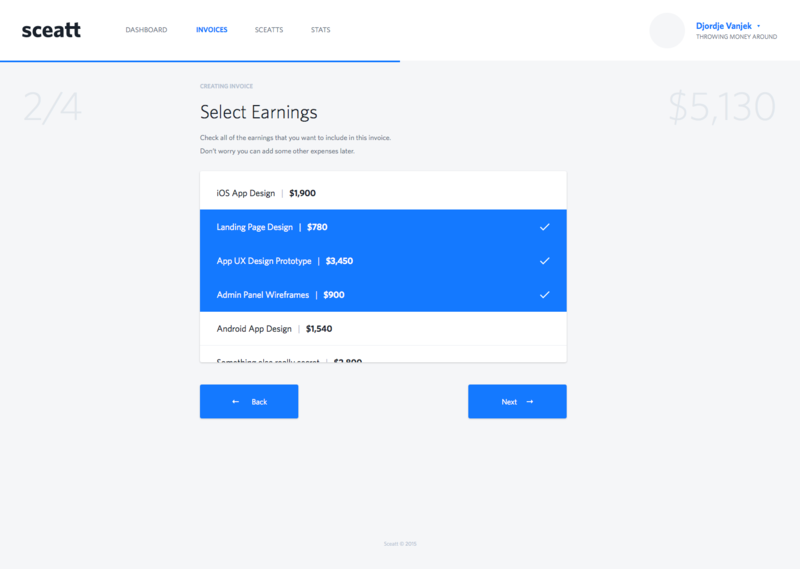 Hi dribbblers, Still working on this web app, stay tuned for alpha release. 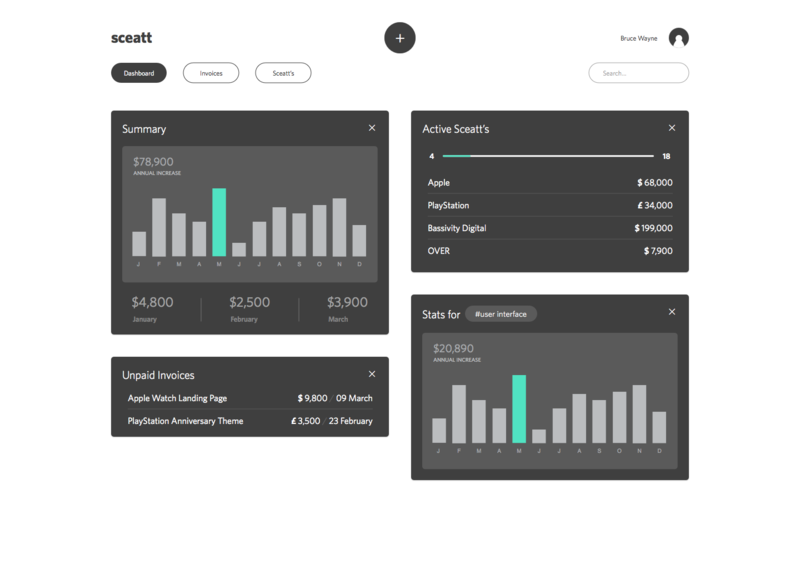 *UPDATE* http://sceatt.co Cheers.